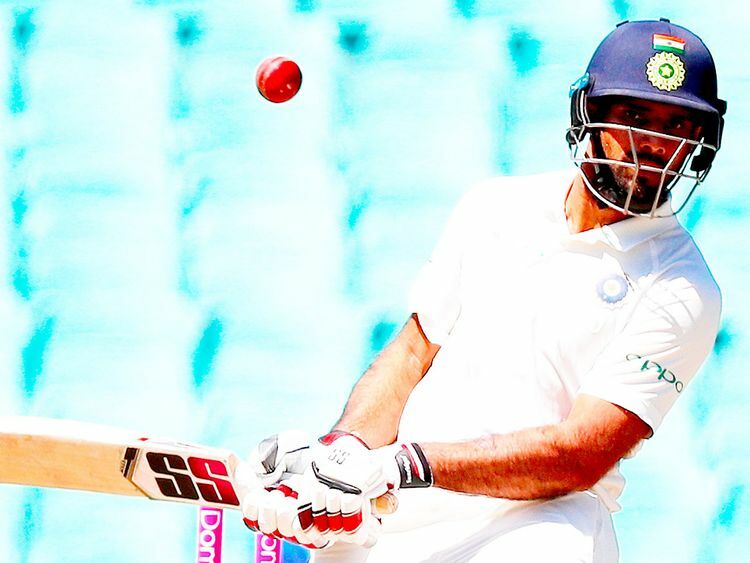 Dubai: The lifetime experience of a Test series win in Australia is still sinking in with Hanuma Vihari, the newcomer Indian middle order batsman who certainly looks a good investment for the longer format in the future. The soft-spoken cricketer, however, is already taking a fresh guard to build on what he sees as “just a start” to consolidate his place in a highly competitive environment. An aggregate of 167 runs from four Tests, with one fifty on debut against England, may not have exactly set the stage on fire — but the 25-year-old has impressed all and sundry with his patience and that X-factor called temperament. And when the legendary Sunil Gavaskar certifies that Vihari’s defence is better than Rohit Sharma, he looks a candidate for the long haul. Speaking to Gulf News in an exclusive chat from India, Vihari admitted that the last four-five months had been like a dream run for him. “It was a fantastic opportunity to get a call-up in the national team while I was touring England with the India A team. I have made an impression, but then I couldn’t do much in Australia and hence my aim is to keep on scoring the runs and strengthen my claim for the future,” said Vihari. It was quite a breakthrough for Vihari when while being part of the India A squad under Rahul Dravid in England last year, he was thrust into the limelight as a potential No. 6 in an Indian order which boasted of names such as skipper Virat Kohli, Pujara and Ajinkiya Rahane. An impressive 56 in the first innings was followed by a duck in the second at the fifth Test at The Oval, but Vihari did not look a misfit at all — while his off-spin came across as a handy option in Kohli’s armoury. He was again on the flight Down Under, where Vihari’s name was even pitched as a potential candidate for opening the innings when both Murali Vijay and Lokesh Rahul looked short on confidence in the first two Tests. “The kind words of Gavaskar was a big boost for me. I knew defence is one of the strong points of my game and I was ready to bat in any position for the team,” Vihari said. Hailing from Andhra Pradesh, a South Indian state not really known for producing international cricketers, with the exception of the current chairman of selectors, M.S.K. Prasad, Vihari’s approach to the game is refreshingly old-school — where one would stake the claim through sheer weight of runs in domestic cricket. He was the highest scorer for his state in Ranji Trophy in the 2017-18 season with 752 runs, which included a triple-century against Odisha. It’s no surprise then that he has been influenced by Cheteshwar Pujara, the marathon man of Indian cricket at the moment. “Yes, my approach has been the same as Pujara, but he has now been serving Indian cricket for the last six to seven years — been there and done that. I admire his mental strength and have myself tried to show a similar discipline in domestic cricket,” he said. Looking back at his career so far, Vihari said it took him a lot of hard work to get the recognition. “It’s not easy to get noticed when you are from a smaller state like mine. It took me eight years of preparation when my bread and butter was four-day cricket. I started as a No. 3 and the hunger for longer innings was always there with me,” reflected Vihari, who had been captaining his state for the past three seasons. With Vihari not being in the mix for the white ball cricket for India at the moment, he is looking forward to the upcoming Indian Premier League (IPL) as the next big challenge. Unlike Pujara, he had been a part of the fixture for Sunrisers Hyderabad for several years before being signed up by Delhi Capitals for the 2019 edition. Hanuma Vihari got engaged to his longtime girlfriend, Prithiraj Yeruva, a fashion designer in Hyderabad in October last year.